I've been after the iconic L.A.M.B leopard print hooded jacket since it first came out, however it was selling for over $100. So my day today was filled with pure joy when mine arrived in the post for the bargain price of - £15! L.A.M.B is the fashion line of Gwen Stefani, standing for Love, Angel, Music, Baby (Gwens' Harajuku Lovers). It hit runways in 2004 and is still going strong. 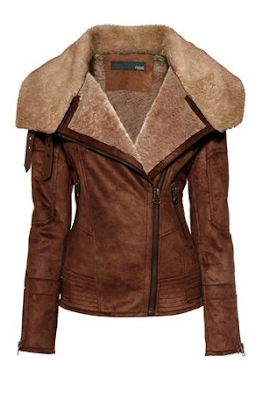 Inside is a fleece feel, so perfect for Autumn! 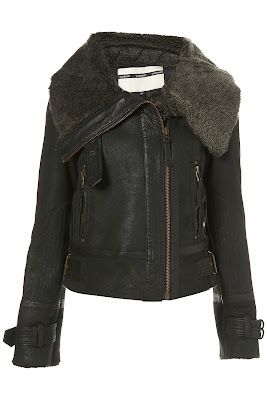 The L.A.M.B across the front and the Black Lamb logo are of a velvet feel. As you can see mine needs a little scrub up but I can't wait to wear it! "They love the way that L.A.M.B is rollin' 'cross my shirt!" I couldn't resist the bargain and to sing that line over and over haha! What designer bargains have you picked up recently? 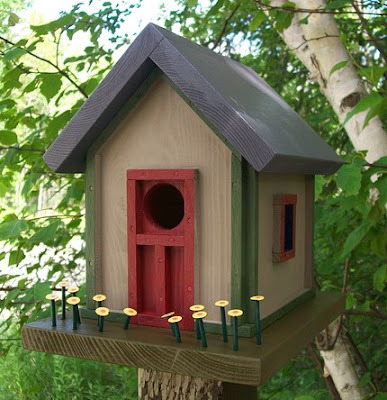 I have another one up my sleeve but still waiting for delivery so stay tuned! For those who don't know, Totnes is a small village about 10 minutes away from where I live in Devon (in the UK), it's full of people who are into Organic and handmade stuff and they all dress a little strange. I don't mean this in a negative way I think its great that they don't care what others think and everyone is happy and very friendly. First up I went to a shop called Gazebo - I wanted to buy every single thing there! It has alot of Cath Kidson which I'm not a fan of BUT every other single thing had to be mine from cute deer to nesting dolls - I loved it! Clip bird - to sit in my vintage bird cage I got for Christmas. Cute deer and kitty postcards - just to stick on my wall. and that pink one was £3 for over 2 metres and I love the retro pattern! And this really cute nesting doll was only 99p! So there's a long post to make up for the short ones - and (I deserve a medal for this...) I still have NO 't' button! What did you get upto on the weekend? First things first - I still have NO 't' button working so again I've had to form a short post to stop me from going insane with copy and pasting the letter 't' every other word! I got asked to run an errand by my boss and go up to the top of town to post something, whilst there I asked if I could go to the Apple Store to buy my keyboard. So I head on up and as I go to walk into the shop who should be working there but enemy No.1 - the evil ex-boyfriend! So a quick diversion through a couple other shops and BAM I end up spending money on other things. An adorable cup! It was only £2 and I couldn't leave that little happy mushrooms face behind! Super cool, super tacky gold, spike studded bracelet. It was £10, marked down to £3 but when I got to the till it came up at £2! Bargain! I love a bit of a spikey stud. Okay so that's it now for the weekend, in conclusion to my story I ordered my keyboard from Amazon. I'll be back Monday with a longer post about my charity shop and Totnes finds. The little Oriental kitties are just adorable and I love the bunnies in the cherry blossom. Side 2. Froggies and Apples. Again sorry for the short post but I will be back tomorrow with a new keyboard and a better post! Ok, only a short post today as the 't' button on my Mac's keyboard has stopped working for no reason at all and I am currently copy&pasting the letter everytime I need to use it! Annoying! I've seen pairs like this on Gaga and Gwen Stefani - sooo of course I had to have them! Sorry again for the short post, I'm going to try and sort this keyboard and you can expect a longer post from me tomorrow! Bourjois Lovely Brille Lipshine - Review and Swatches. First of all I think this lipstick is no longer stocked in stores BUT I bought mine online (from cheapsmells.com) for £1.99 each - which seeing as I usually pay anything from £5 upwards for lipstick, is a BARGAIN! The only downside to online shopping is you can't test it on your skin, but at £1.99 I wasn't too fussed so long as the colour looked good to begin with, plus thats where I come in (for 2 shades at least!). First of all I just have to point out what an amazing idea it is to have a mirror on the lid - genius! The picture actually doesn't do this justice, it's quite a bright rose-pink that is shimmery in the light. As you can see it comes out on the hand very light and quite sheer, so depending on how bright you like it you'd need to add a couple of layer to this. However on the lips it actually brightens up and blends in well with the natural lip colour, also the shimmering come out giving it a nice gloss effect. I'd actually compare this to a lighter, less thicker version of my favorite lipstick - the MAC Viva Glam Lady Gaga. A nice bright red shade, this one does have that shimmery effect in it but you can only really see it in the light. Shows up nice and bright on the hand but again if you want it brighter you going to have to layer up, which is great for a day to night look. This one actually shows up great, it is a bright red however it's subtle enough for work or school and other daytime uses. I love my red bright but this is perfect for summer. That's all today, thankyou to all my new followers I really appreciate you taking the time to read my blog! Nyx Cosmetics are the official sponsors of RuPaul's Drag Race season 2 - which automatically makes me a fan. I've been in need of a new foundation seeing as the humidity and occasional sunshine here make my make up just slide straight down my face - not a good look! First of all the bottle is plastic which is great for carrying around all day and on travels so no breakages occur. Also I just love the pattern! I purchased the colour 03 Buff. I have very fair skin so I needed something very natural, it is also SPF 15 which fit perfectly for the summer. Ok this is the half side of my face I DIDNT put the Liquid Foundation on, but you can kinda see it creeping up from the side I did put it on - already a difference. Here is the side I DID put it on. As you can see there is a warm glowing tone to it but still very natural. The texture was almost mouse like which is great because you don't need a lot and it goes a long way. It's very light and fresh which makes it long lasting and also perfect for any skin type. The only thing that may bother some people i that it has a slight scent to it, you can't smell it once applied but can whilst applying (altho this doesn't bother me). The Liquid Make-up foundation can be purchased from www.Nyxcosmetics.com and comes in a variety of 16 shades. Today foundation - tomorrow - LIPSTICK! I love every little ounce of them! Infact I don't ever want to take them off. Studs, stripes and a bow - what else do I need?! I'm not a fan or sandals at all, not one bit, so these sling back mini-kitten heels are just perfect for summer time. They were £15 down from £25. Hope you all have had a great weekend, stay tuned for a beauty review post tomorrow! 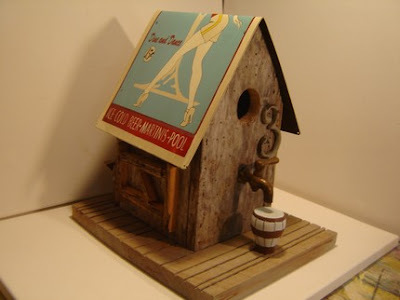 I'm huge fan of Etsy.com, it's such a nice, quaint, personalized shopping experience and with pay day looming in 2 weeks what better way to spend an evening than Internet window shopping! 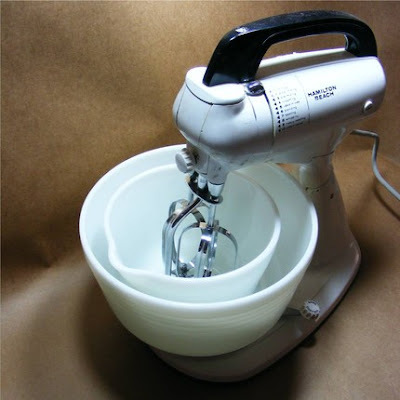 Hamilton Beach mixer - so cute! I've been wanting a mixer for a while now. 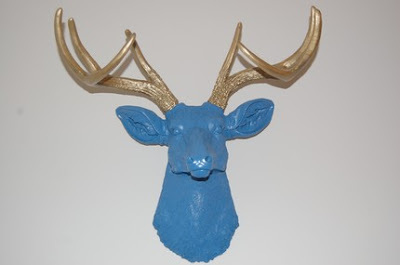 'Deer Joan' Deer Mount - this is adorably tacky, as soon as I get my own place I'm buying a faux deer mount! 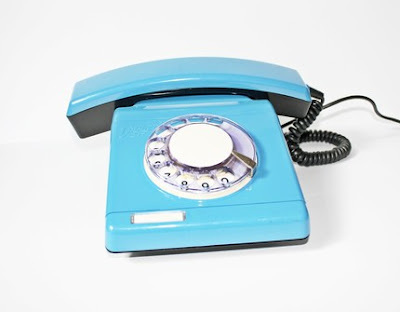 Vintage Rotary Phone - SO cool! look how vivd the blue is, why don't I have my own house!? 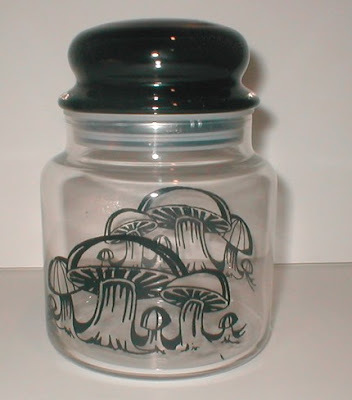 70's Mushroom Jar - adorable! 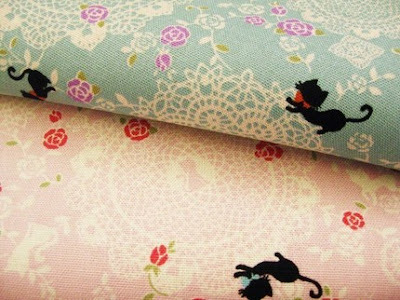 Graceful Lace w/cat Fabric - this just found itself in my cart, I will be ordering! 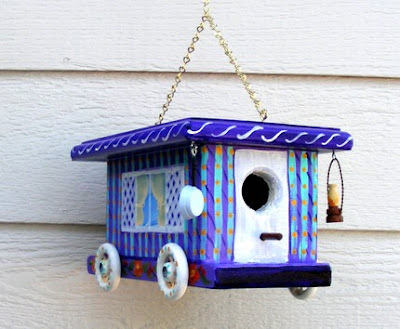 Folk Art, Gypsy Wagon and Donette's Cottage Birdhouses - I love them all, I want loads of trees just so I can own lots of birdboxes, I can't believe how creative they can be! Well that's all for today and the weekend it's the boyfriends birthday so shall be away.